Making better food choices is a daily challenge. It is not easy to plan and execute a perfectly healthy meal every time. Luckily, there are ways to change the way you make and eat your food so that you make healthier meals. Drink a glass of orange juice when you eat vegetables like spinach, lettuce and broccoli. The high concentration of Vitamin C in the orange juice will help your body to extract more of the iron found in these types of vegetables. The principle works with all leafy greens and other foods high in vitamin C.
Add peanut butter to your pancake mix. Most pancake mixes (especially the supermarket-bought pre-mixed ones) are very low in protein and fibre. A spoonful of peanut butter will help to balance this deficiency whilst adding to the flavour. Cook your vegetables. There seems to be a trend by some misguided people to believe that raw vegetables are in some way better for you than cooked ones. Of course, vegetables should not be cooked to a point where they lose colour and all texture, but there is no doubt that cooked veggies are much better for you. Cooking breaks down the tough cell walls so that the nutrients within can be released into the meal and your body. Uncooked vegetables will release fewer nutrients on their way through your system. Combine oily fish with dairy. Oily fish such as sardines, salmon, tuna and mackerel have high quantities of Vitamin D. Vitamin D helps the body to ingest the calcium found in dairy products like milk, cheese and yoghurt. 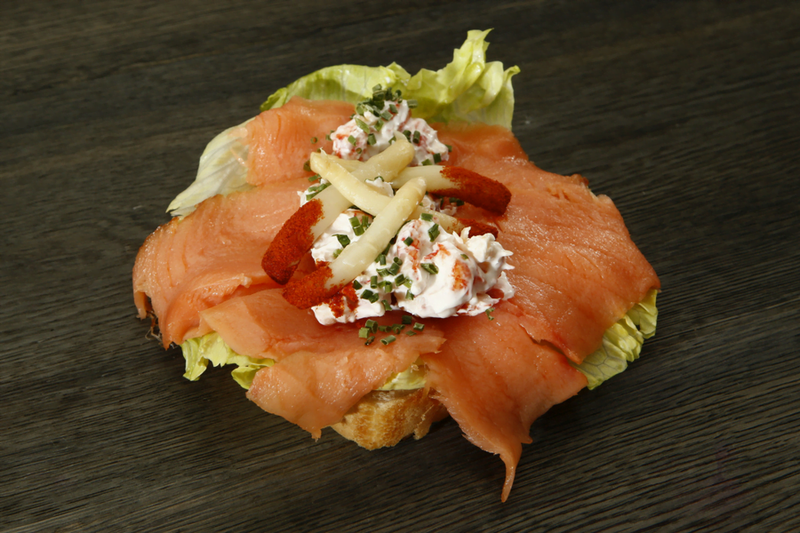 If a glass of milk with your sardine sandwich does not strike your fancy, try adding a yoghurt dressing to salmon fillets. Do not order the fries. When buying a burger from the fast-food place or ordering a chicken parmigiana/steak at your local pub the default side-dish choice is chips. Try to opt for the salad or vegetables instead. There is a time and place for fries, but when combined with other high-calorie, high-sodium foods in a meal which probably includes sugary or alcoholic drinks, they can tip your meal into the unhealthy range. Feel better about the meal experience by replacing them with veg. Every meal that you eat represents a choice. Feel good about your choices by consciously choosing healthier options. Compare different ingredients by searching them in our Food Search Box This will help both your health and well-being. Healthier meals for a healthier you!